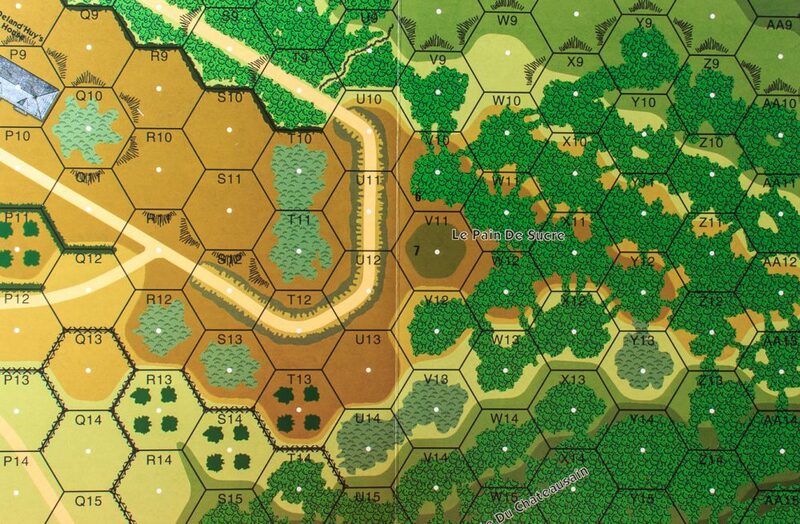 2nd edition: historical map (new artwork), 32 die-cut counters (left over from 1st edition), 16 scenarios, rules and charts, 3 Platoon Leader campaign games. 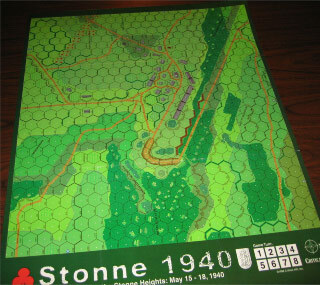 As its name suggests, Stonne 1940 is a historical module, designed by Pedro Ramis, that takes place during the German blitzkrieg campaign against France in May 1940. 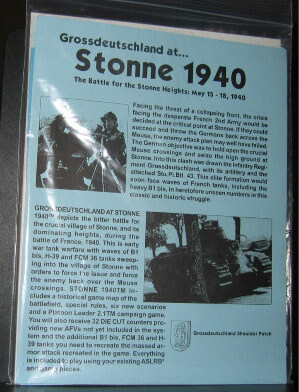 Specifically, it details the fight for the heights near the village of Stonne in a desperate attempt by the French 3rd Motorized and 3rd Armored Divisions to stem the German tide, represented here by the Grossdeutschland Infantry Regiment, the 16th Infantry Division, and the 10th Panzer Division. 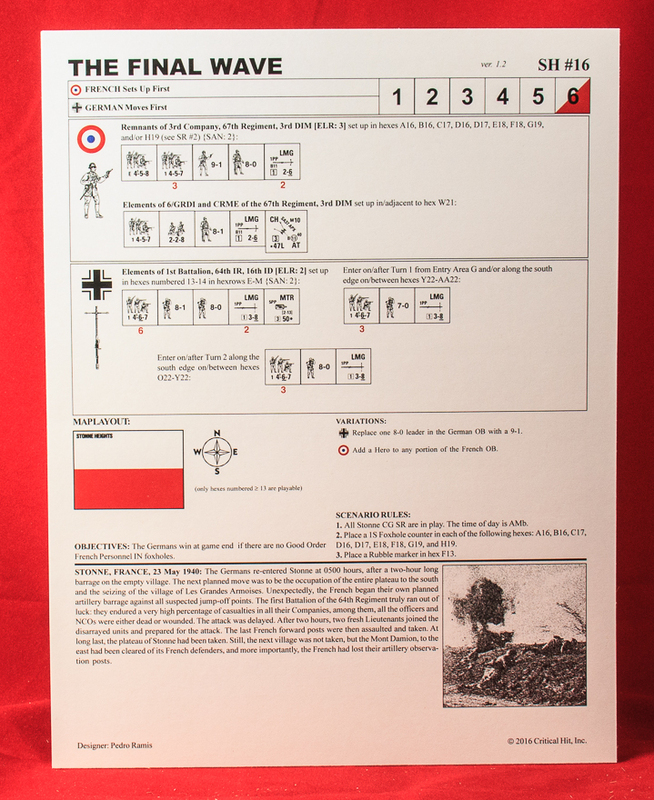 Early war armor and infantry actions abound in this, one of the only historical modules to represent the 1940 campaign in France. 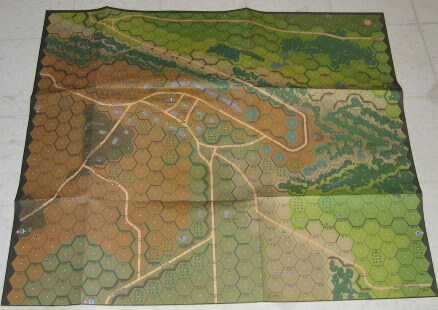 The map is a fairly attractive representation of the environs of Stonne, but the use of shades of green for every elevation level (perhaps done for reasons of economy) makes the map somewhat confusing and hard to parse. A wider range of colors (as, for instance, in Kampfgruppe Peiper) would have been much more user-friendly. Making matters worse, some of the crest lines could be darker and more obvious (some players trace them to make them more visible). 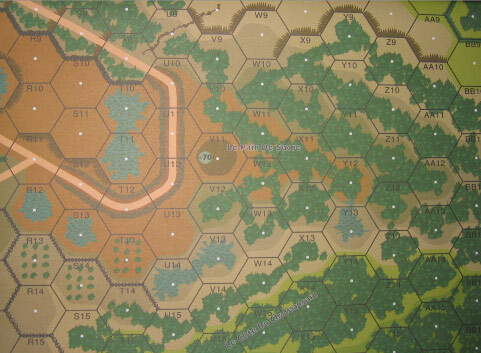 Additionally, the map is printed on glossy paper, which can cause frustrating glares (Critical Hit later abandoned this type of paper for its maps). A reprint of the module would profit greatly by a redone map. The 32 counters provided mostly represent French tanks. 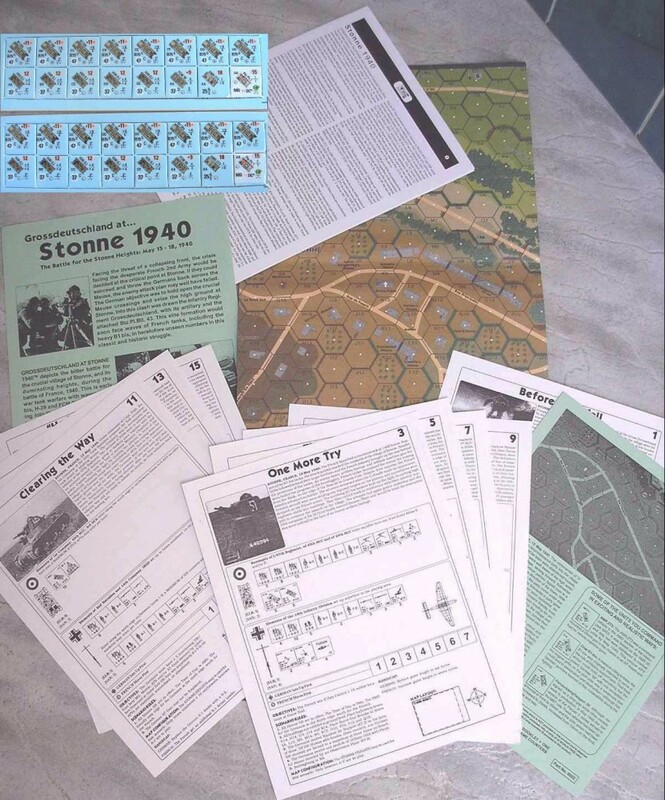 Stonne 1940 has six scenarios, which range in size from massive combined arms actions to quite manageable tournament sized scenarios. One Platoon Leader campaign game is included with the game; it has 8 campaign dates. Both sides have a lot of purchase options ranging from motorcycle platoons to a wide variety of tanks and armored cars (especially for the Germans). Both sides also have opportunities to attack. 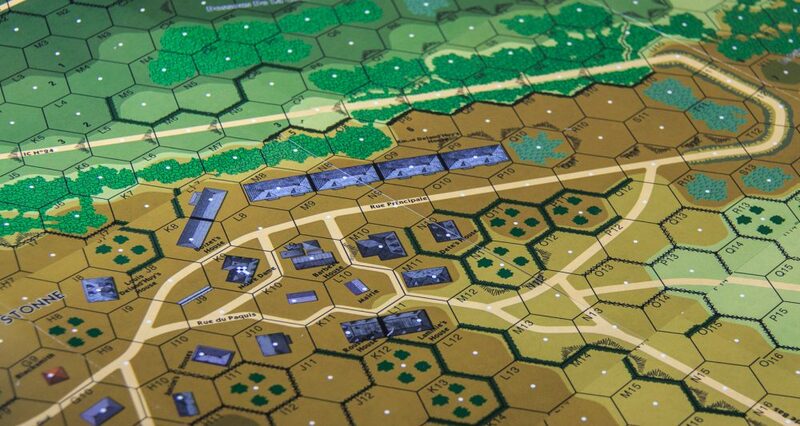 Unfortunately, the campaign game is said to be flawed, because of a terrain bottleneck that essentially forces all German vehicles to go through one sunken road, which can be easily defended by AT mines and guns. Critical Hit Magazine Volume 6 Number 2 provides two additional campaign games–“The Crusher” and “Inferno of Steel”–for the Stonne map (as well as two additional scenarios, a play aid, and other supporting material). 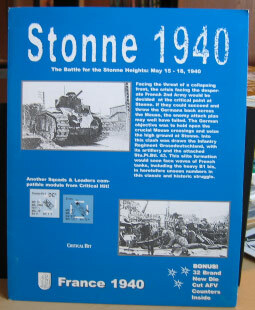 Despite its flaws, Stonne 1940 still has much of interest. However, it is probably a good example of a module that could afford to be fixed and reprinted. 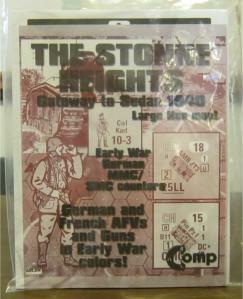 2nd Edition comments: In 2007, Critical Hit released a new, expanded version of Stonne 1940 (following an ATS conversion). The centerpiece of the new edition is a redone map, which is significantly nicer than the map in the original module. The color palette is much better and the map is printed on matte paper stock. The extra campaign games from Critical Hit Magazine are now included in the 2nd edition, while the module now includes a full 16 scenarios, giving it a great deal of play value. 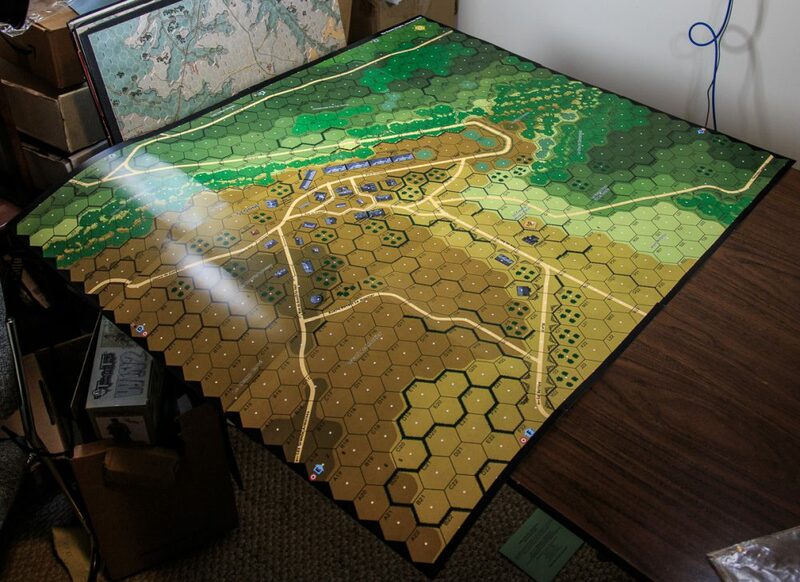 The scenarios have a very balanced mix of small, medium-sized and heavy scenarios, the latter including several meaty scenarios that use most or all of the historical map. 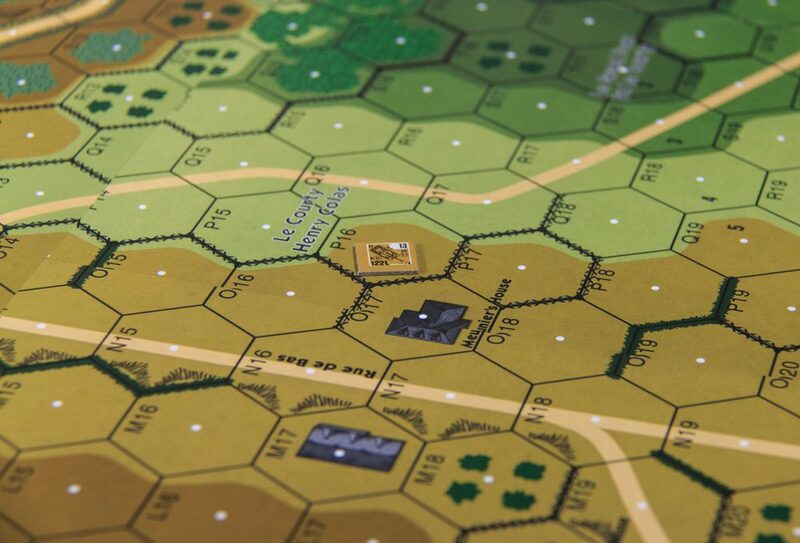 However, a couple of scenarios feature only armor for one side (such as “Closing Up,” which pits 2 French B1-Bis tanks against 7 Germans squads, 2 AT guns, and 2 tanks); such scenarios are usually not as much fun. 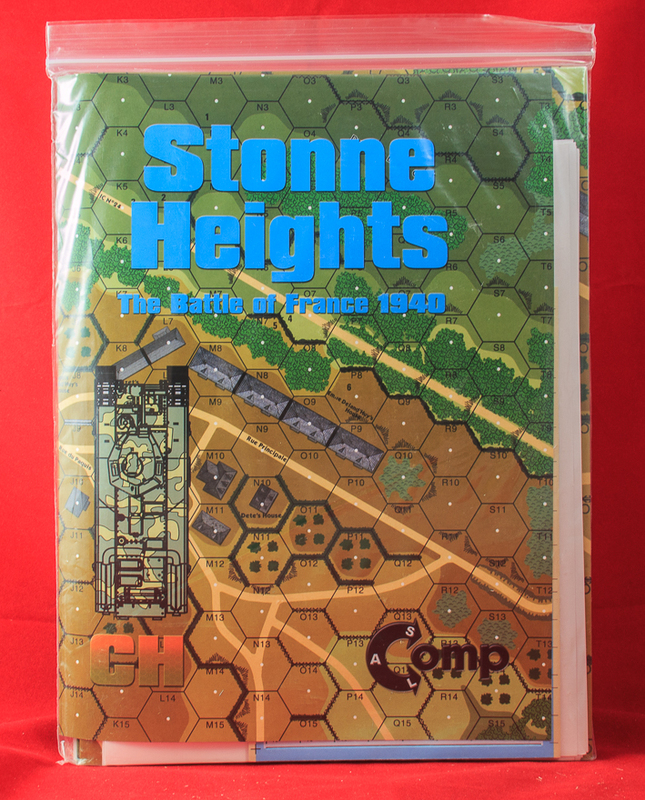 Overall, however, the 2nd Edition Stonne 1940 seems to represent a considerable improvement over the original. 3rd Edition comments: In 2011, having decided to finally develop a new style of artwork for its 5/8″ counters, Critical Hit began an aggressive campaign of reprinting older products with the new counters included. Consequently, a flood of such products began appearing–and countless more will undoubtedly follow. Stonne 1940, now inexplicably (but not surprisingly) renamed The Stonne Heights, is one of these. At least it has been several years since it was last redone, and the module is not one of Critical Hit’s poorer efforts. Still, there is not much reason for owners of the 2007 edition to purchase this edition (which comes in two versions, one with and one without the new map). The 2011 map is indeed redrawn, but the changes seem very minor and essentially cosmetic–it is not even clear why a new version of the map was needed. 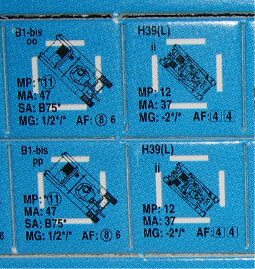 The AFV counters are not the same mix of counters that appeared in the first two editions, but except for a few counters (present in both versions), the countermix essentially consists of duplicates of official counters. 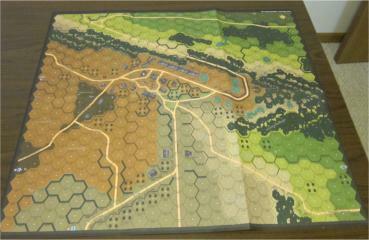 Since play of the campaign games already pretty much requires two sets of French counters, these are not a big deal. 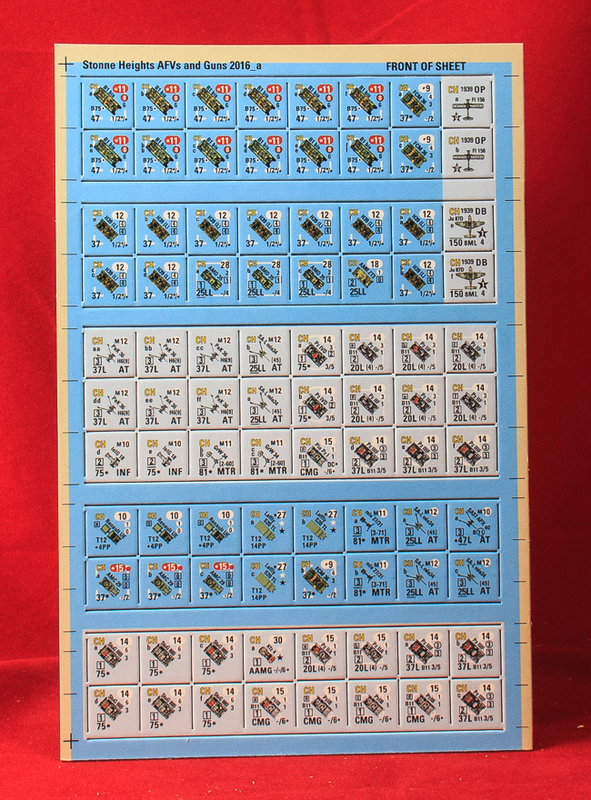 The 1/2″ counters included just provide a few extra French and German infantry units. Basically, if one already has the 2007 edition, there is no real reason to get this edition. This is especially true considering that this product, listed at $59.95, is significantly overpriced. If one has only the 1st edition, or doesn’t own it at all, it is a product worth considering. 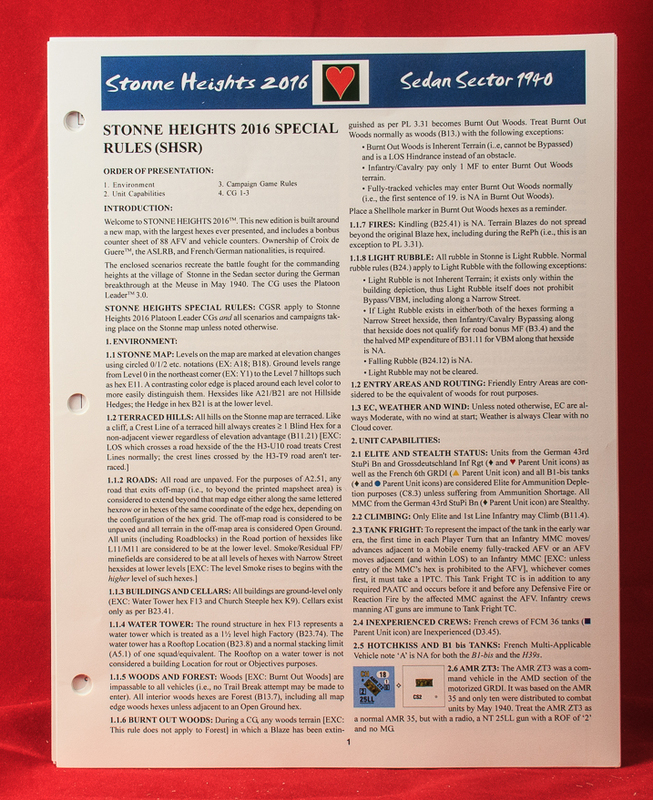 4th Edition comments: By 2016, Critical Hit had for many years been using a business model dependent upon continuously recycling and re-releasing its entire catalog, often under changed names, so it was inevitable that a new edition of Stonne Heights would appear. The main feature of the new edition is a new map. 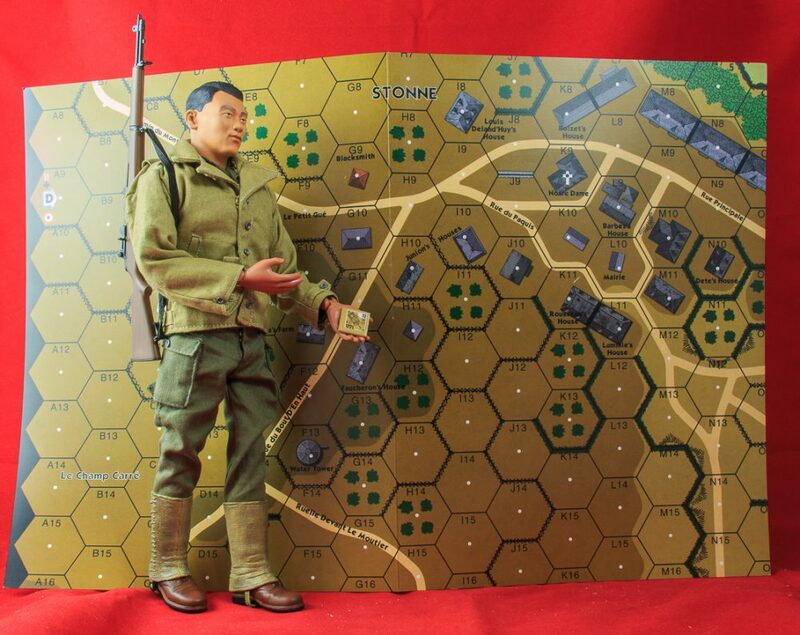 Gone is the one-sheet historical map and in its place are 6 12″ x 18″ heavy paper map panels that must be carefully assembled to form the (now much larger) battlefield. 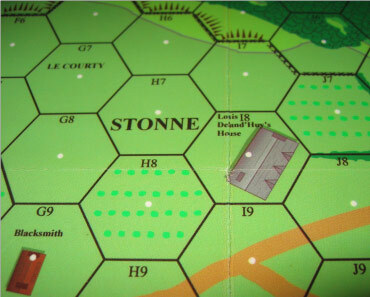 With the large hexes of the new map, this edition of Stonne takes up much more space than its predecessors and is nowhere near as handy. The artwork on the map is partially new and is probably overall a slight improvement. 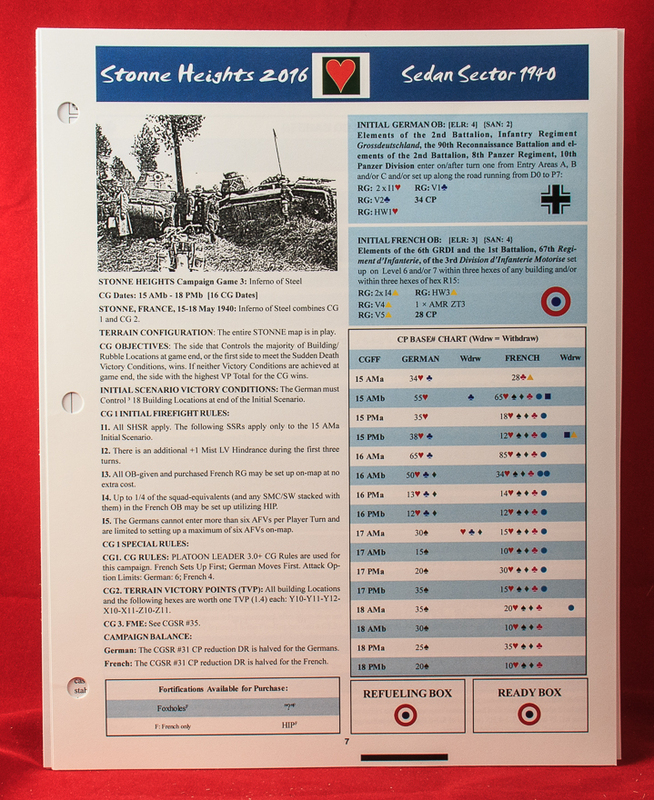 The half-countersheet provides 44 French guns and vehicles and 44 German guns, vehicles and planes. The 1/2″ counters from the previous edition are gone. 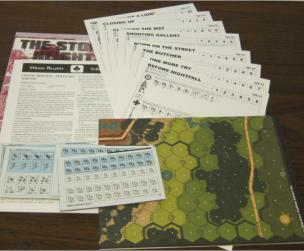 The rules and scenario cards also have an updated look, with some color. This helps with the playing card symbols on the campaign game aids. At $59.95, it does not cost more than the previous edition (a rarity for Critical Hit), so it might be worth considering if one does not already have a previous edition, as this is one of the relatively few Critical Hit products that enjoys a decent reputation. 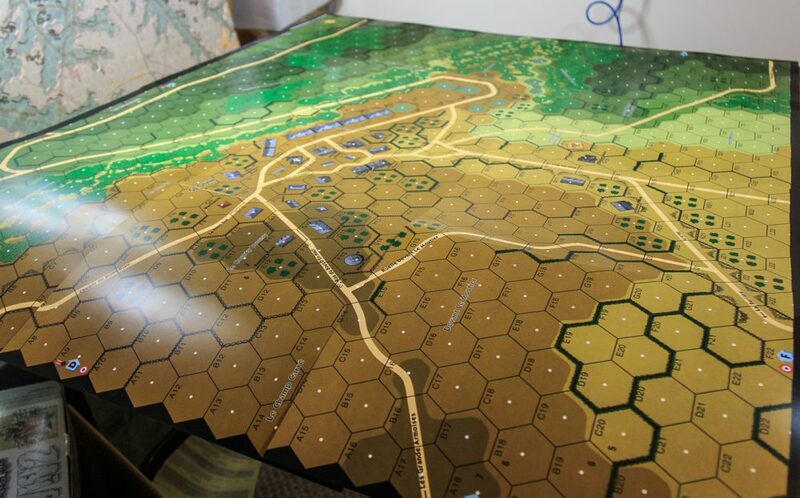 However, the map panels take up a lot of gaming space. If one has a previous edition, it is probably not worth getting all over again.